Steve is an expert in wealth management. He has vast experience of managing pension funds, trust funds and individual investment portfolios. 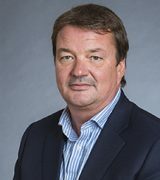 He was the founder and Managing Director of the Cameron Scott Group, which by 2007 was a broad based financial Services Business with an independent financial services arm, a specialist Healthcare business plus AXA’s largest Appointed Representative business in the UK, managing over 10,000 clients. Following an acquisition by AXA he managed the transition of the Cameron Scott Group into the AXA Group’s UK Intermediary business. Steve now runs a specialist wealth management firm dealing with family trust arrangements and individual private clients.